Just over five years ago, I moved to Dublin, Ireland, from a little town in central Maine. Quite quickly, St. Patrick's Day became one of my favorite holidays in my adopted country. Not because of any particular celebrations here - if you have kids you might go watch the parade, but otherwise you simply walk around to your local pub for a few pints. It's actually my favorite holiday here because it's the one time in the year when the rest of the world is thinking about all things Irish and I absolutely relish the opportunity to tell people about my adopted home and all of the amazing, creative things going on in this little country. Most people know about our sheep and our Guinness, our leprechauns (we don't actually have those!) and our rainbows (we do have lots of those!). But they usually haven't heard of some of the talented makers creating beautiful products over here, so I'm thrilled that Jan has let me share a few of my favorite Irish creative companies with you today! 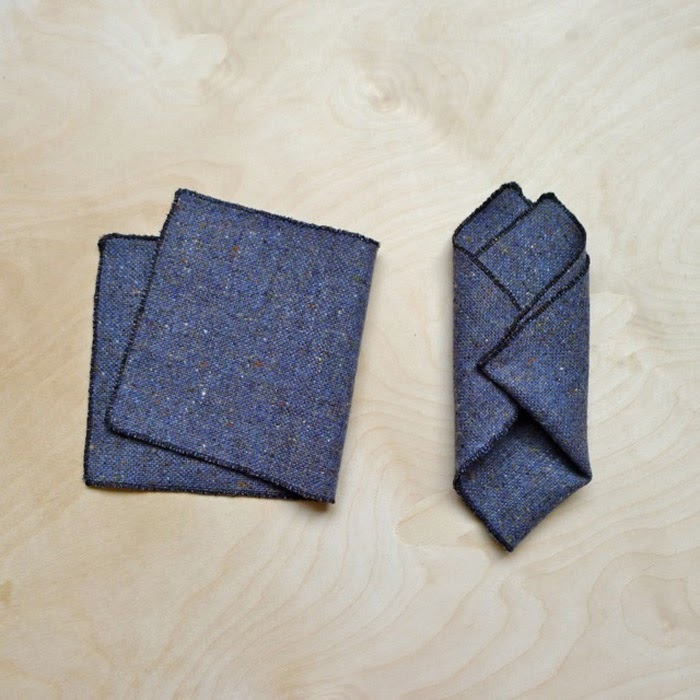 31 Chapel Lane / You might be surprised to learn how uncommon real Irish linen actually is these days. Because of high manufacturing costs, textile weaving has been largely outsourced to countries that can do it more cheaply. 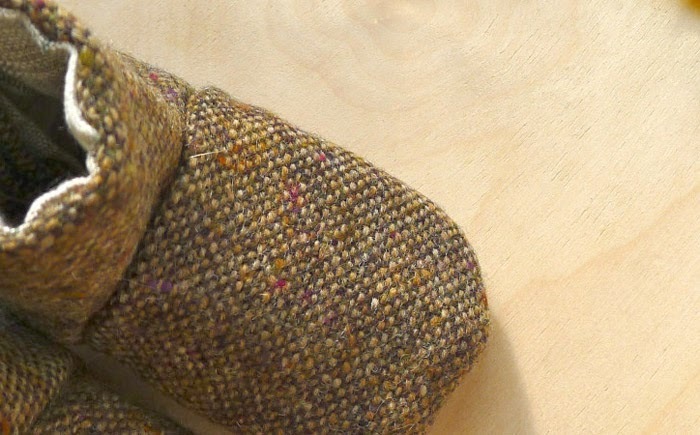 But 31 Chapel Lane's beautiful linen goods are made right here in the middle of the country by Irish Linen Guild approved mills and family run tweed weavers. Their cushions and tea towels, napkins and baby booties are a lovely mix of modern and traditional. 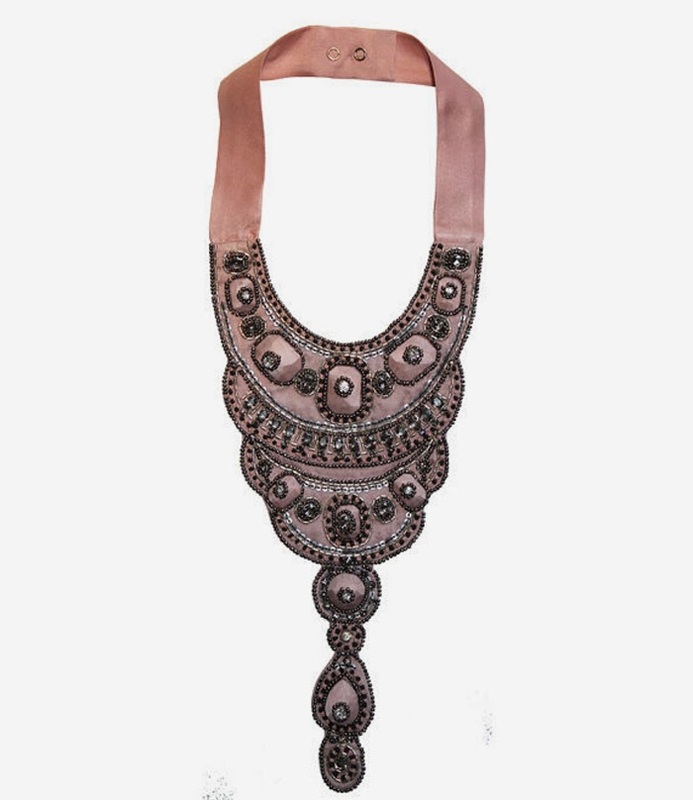 Eliza Vale / Katie Townend, the incredible artist behind Eliza Vale, creates beautiful necklaces, headpieces, veils and other accessories. She employs traditional cross-stitch and embroidery techniques, beading and macrame, to create one of a kind, intricate masterpieces. Everything Katie creates makes you want to pick it up and touch it, completely in awe of the craftsmanship. Placed / One of the things most people don't realize about Ireland is that we have our own language, a form of Gaelic. It's a difficult language, not at all phonetic, but it's still prevalent in certain ways here - on street signs, at train stops, and it's spoken exclusively in schools and certain neighborhoods around the country. 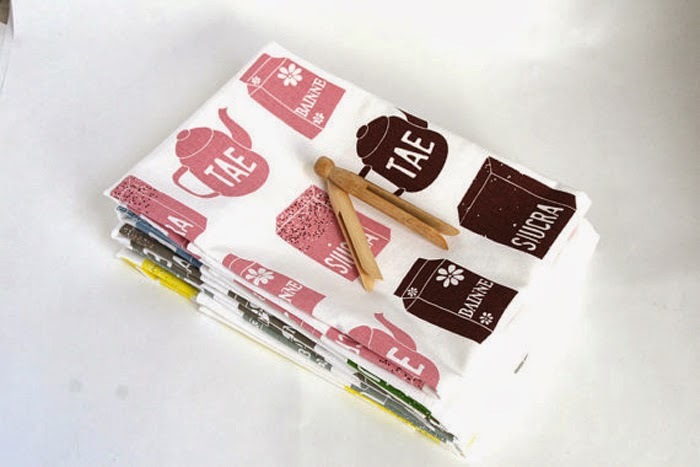 Placed celebrates the Irish language in sweet illustrations on tea towels, mugs and even children's books. 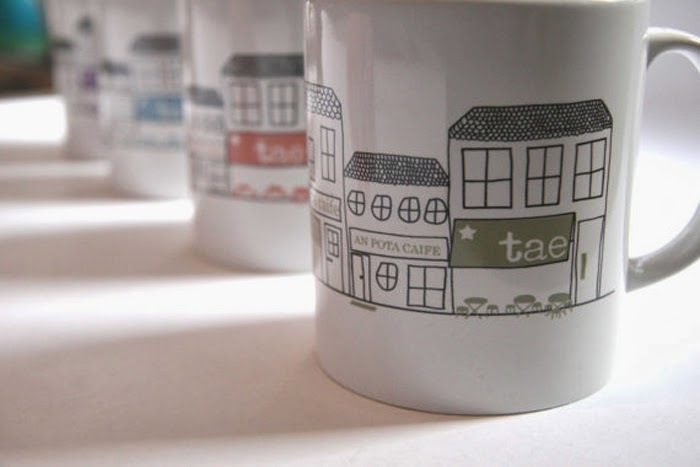 In fact, Placed is a great way to pick up a few Irish words as their products usually celebrate some of the simplest ones - tae means tea in Irish, and tra means beach. And those are officially the easiest words in the Irish language! 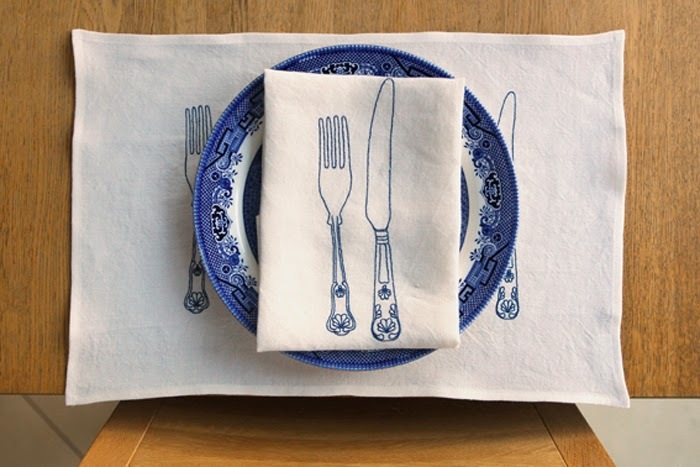 Jennifer Slattery Textiles / Jennifer Slattery's printed and embroidered table cloths, napkins and runners are so cool and unexpected. Many of them are printed or stitched with images of cutlery or plates, they're very graphic and unusual. One of my favorite things about Jennifer's pieces is that she's creating pieces that she hopes people will have for years. She puts it best: "I appreciate pieces that have survived the test of time. My work is a celebration of the everyday heirloom." And what lovely Irish heirlooms they would be! I loved Dublin when I visited last year, and I'm so excited when I see the amount of local artists and artisans that still carry on their craft there. In this day & age, it's so refreshing to see when local small businesses and handmade artists can still hold their own. I will definitely be back, and be doing more local shopping!! 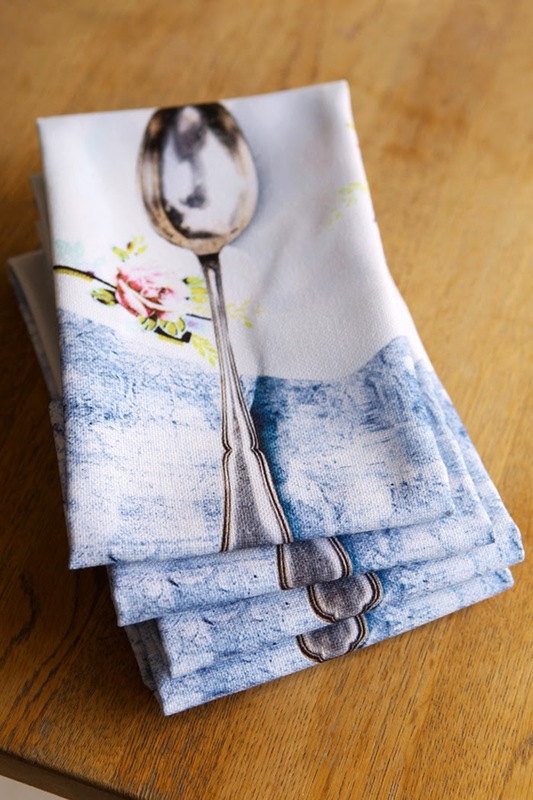 ooh ooh that last image with the blue and white pottery and the "this is not a spoon" spoon on the napkin, LOVE IT.